One of the things I am so grateful for in Geneva is the beautiful parks and green spaces. I wrote about this on a previous post when we first arrived. 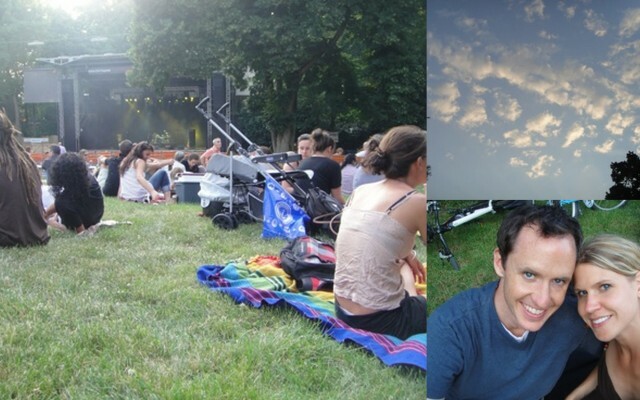 # 1 – Free concerts in Parc a la Grange – these are twice a week – Wednesdays and Fridays for the entire summer. There is seating, or you can choose to bring a picnic. Large groups of people meet and picnic together, listening to the music. Gabe and I biked there and enjoyed a little picnic for two. 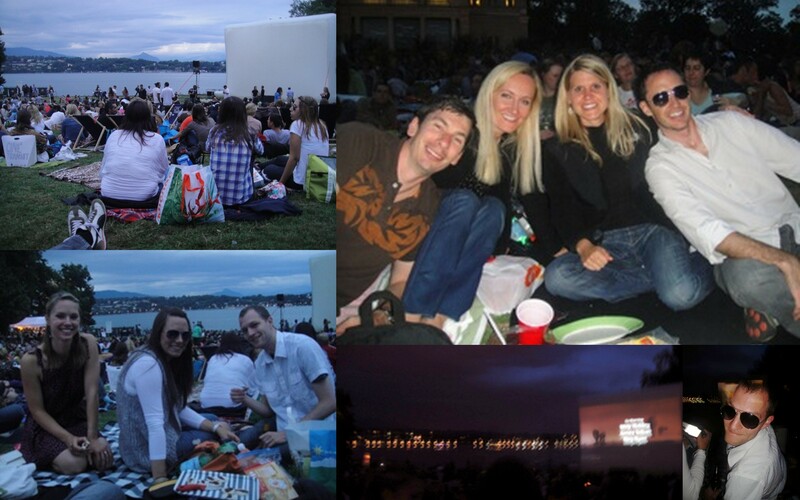 # 2 – Free movies in Parc Perle du Lac – this happens four times a week. Gabe really wanted to see Top Gun, so we spread the word and had a really nice evening with A & A, D, and C & M last Saturday night. We loved the spirit of the movie-goers. Someone dressed up as an air-traffic controller, and others brought sparklers. However, the funniest part were the Swiss spoofs on Top Gun they did before hand. You can see the spoof videos as well as more detail on the evening here on A’s post about the evening. We look forward to trying out the other things but in the meantime, we are just so thankful that Geneva offers these programs and we get to enjoy them in the beautiful open air, gratuits!!! This entry was posted in Canadienne Buffets, Festivals & Events, Geneva Activities, Gratitude Friday, Lakes & Water, Life in Geneva, Summer, Switzerland. Bookmark the permalink. ← Rain, rain go away…..